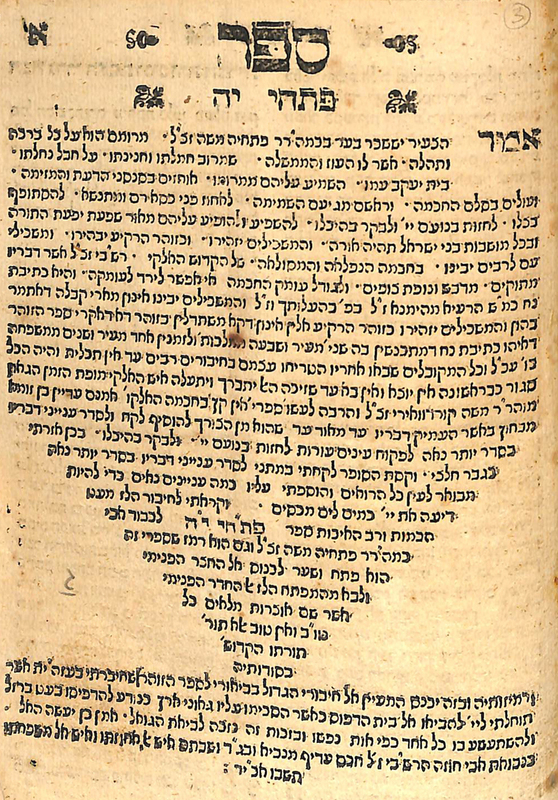 Kabbalistic work written as an introduction to the sefer Pardes Rimonim of R. Moshe Kordevero authored by R. Yissachar Ber of Karmenitz. 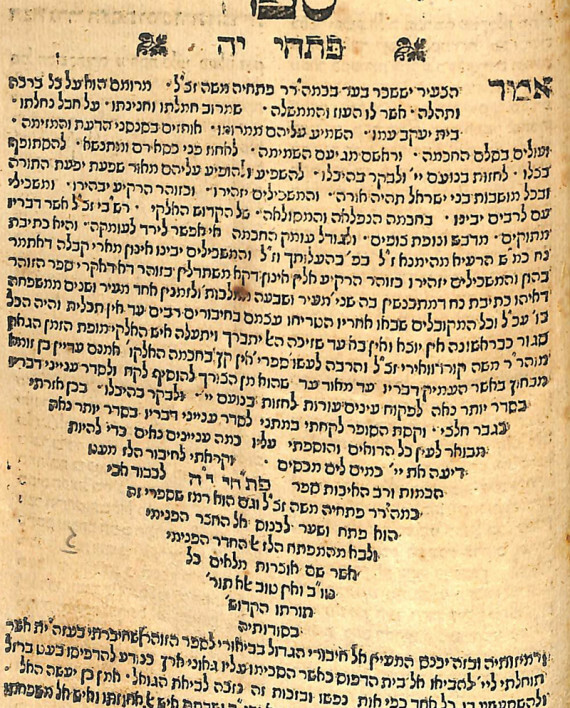 Consisting of ten chapters expounding on the Kabbalistic teachings of the RaMaK. With Kabbalistic diagrams. Vinograd Prague 181. Gershon Katz press. 15 pages. 18.6 cm. Fine condition, corners of pages professionally restored with no loss of text. Fine leather binding. Exceptionally rare.